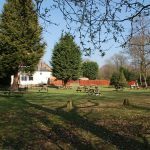 Family pubs don’t come much better than the Kings Oak in High Beach, Epping Forest. We firmly believe that kid’s restaurants and family pubs should be a fun place to come with mum and dad. So when you’re looking for that ‘family pub near me’, you can rest assured that our main consideration is to offer a true family pub environment. Our Forest Garden with its beautiful forest backdrop has wonderful gardens for the kids to play in plus a fully equipped play area with climbing frames, swings and slides. In the summer months, bouncy castles are provided for additional entertainment. Not many Essex pubs can boast of such a safe environment for the kids to play in. Our kid’s friendly restaurant offers a ‘Cheeky Monkey’ menu which is packed with all their favourites, whilst mum and dad can select from our fabulous Gastro Pub menu. Being a child-friendly pub doesn’t mean we have to compromise on quality or value, quite the contrary when it comes to having children in restaurants the whole experience for the family is intended to nurture a love of good food and stylish ambience. Our KO kids are our customers of the future. We regularly host Children’s parties in our Kings Room, Beach Club Marquee & Pool Gardens. Our Events Team can put together a package that fits your requirements as well as advises you on the best entertainers around including magicians, face painters & balloon modellers. We also have some fantastic food packages available including our very popular kid’s party platters. If you would like more details on the Kings Oak and see some of the event spaces available, just download our full-colour brochure using the button below or, call our events team on 0208 508 5000.